We don’t usually give tax tips, but here’s one in honor of the season. Suppose you advise a California trustee with a Nevada cotrustee and beneficiaries in California, Nevada, and Arizona. (The settlor died in Nevada, which has no state income tax.) The trustee wants to know how much of the trust income is taxable in California. In many states, the residence of a trust is determined by the residence of the deceased settlor. Under California law, the residence of a trust is determined first by the residence of the trustees and then by the residence of the so-called noncontingent beneficiaries. In this example, two-thirds of the trust income would be taxed in California (one-half plus one-third of one-half). These rules apply only to undistributed income. The residence of the trust doesn’t matter if all the trust income is distributed. This will happen even if the trust does not make “income” payments as long as the amount distributed is greater than the taxable income and the distributions carry out distributable net income (DNI) as they usually do. In those cases, the taxable income is wiped out at the trust level by the distribution deduction. When trust income is distributed, all that matters are the residence of the beneficiary and the source of the income. In this example, the California beneficiary’s share of the trust income will be taxed in California regardless of source. However, the shares of the Nevada and Arizona beneficiaries most likely will not be taxed in California because the residence of the beneficiary is treated as the source of most income from intangible property (e.g., stocks and bonds, mutual funds, retirement benefits). The only exceptions are trust income from real property, tangible personal property, and businesses actually located in California. The trustee (or the trustee’s accountant) is obligated to report each beneficiary’s share of trust income to the beneficiary and the IRS, and both the amount and the source of that income to each beneficiary and the Franchise Tax Board. In this example, there may be no obligation to report to state tax authorities in Arizona and Nevada, but you might need to consult local counsel to make sure. The good news for the trustee is that most of the trust income in this case may not be taxed in California. 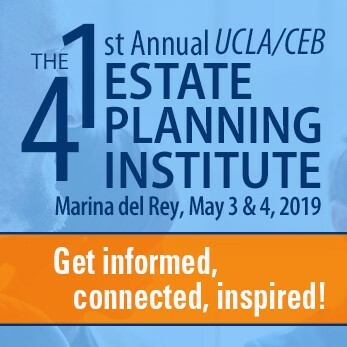 For a detailed discussion of California fiduciary income tax, turn to CEB’s California Estate Planning §§13.161-13.174. Also check out CEB’s award-winning California Trust Administration §§11.58-11.60A. This is a useful posting, especially for folks like me who don’t practice tax law but have tax issues come with client’s financial issues. 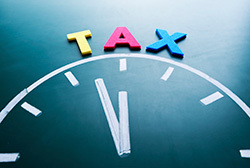 Perhaps tax could become a regular subject in the future?